Practicing with our bike seats. I am taking a speedlight workshop at the Nevada Museum of Art and used our cruiser bikes as my models. No quite sure what I am doing yet. Hopefully, with human models and more lessons it will all come together. 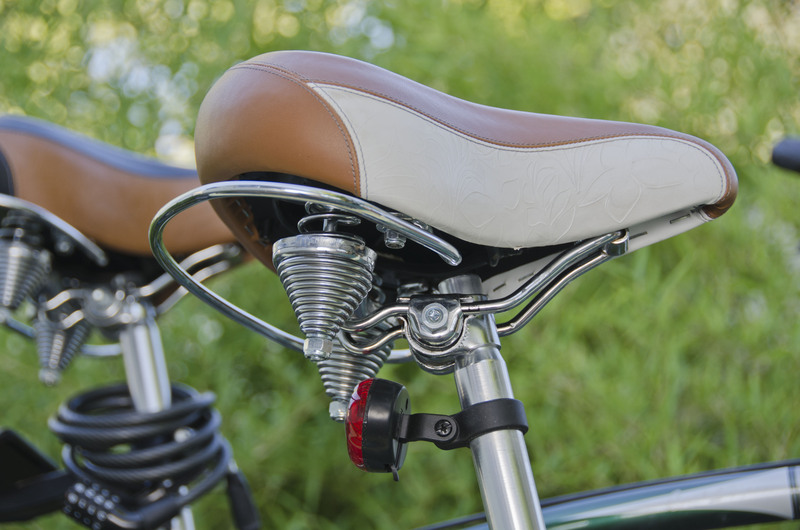 This entry was posted in Photo of the Day 2014, USA and tagged Bike Seats, Photo of the Day, Photography, Speedlight on August 20, 2014 by Bill and Paige.